Do you require large quantities of hand-written copies to run your business? Then No Carbon Required (NCR) sets will be perfect for you. This carbonless alternative to carbon paper is ideal for delivery notes, order forms, invoices, applications, scientific papers, mathematical drawings and much, much more. Delivery receipts, invoices, school reports – the list of times where two or more identical handwritten documents are required is endless. NCR is a great way to handle these transactions in a manner that is quick, accurate and effective. Unlike carbon paper, which requires the use of an additional sheet that must then be thrown away, NCR Sets only use the paper you write on. This means less waste, less damage to the environment and a lower carbon footprint for your company. NCR sets offer superb clarity. When accuracy is essential to your copies, you can rest assured this paper will deliver time and time again. Ordering your NCR sets from Quadrant Print could not be more simple. Just select the right options for you and order them online. All our sets are available at the best prices you’ll find for NCR in the UK. We’ll then deliver it free to your door within five working days. 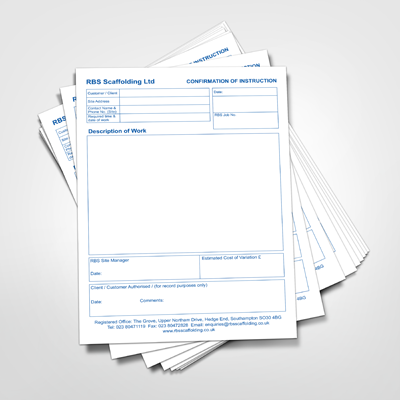 So, if you require a large number of handwritten copies and do not want to accept anything but the best solution, then order your NCR sets today.